Composed by Swedish Folk Tune. Arranged by James Gilbert. Contemporary Christian, Sacred, Praise & Worship, General Worship, European. Score, Set of Parts. 44 pages. Published by James Gilbert Music (S0.190457). 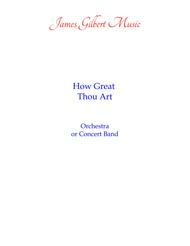 An arrangement based on the popular Hymn tune O STORE GUD of Swedish origin. This arrangement has a fair amount of duplication among parts so it can be played with less than the listed instrumentation. A piano reduction is included. 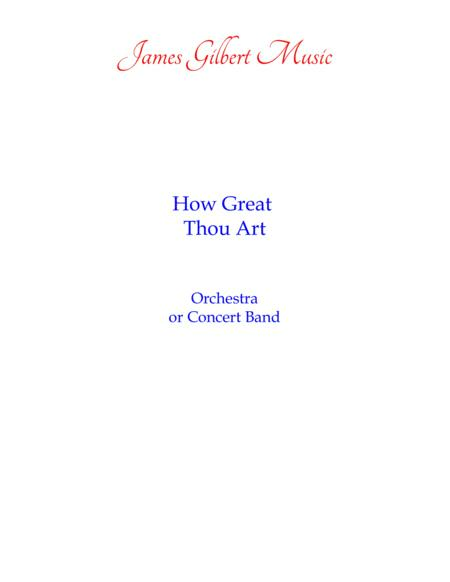 An easy to intermediate arrangement great for any orchestra or concert band. Flute, Oboe, Clarinet, Bass Clarinet, Alto Saxophone, Tenor Saxophone, Baritone Saxophone, Bassoon, French horn, Trumpet, Trombone, Euphonium, Tuba, Violin, Viola, Cello, Double Bass, Piano reduction.